Welcome to the Composite Squadron of the Waxhaws official website! We are a proud part of the Civil Air Patrol. We teach the youth of the South Charlotte area about leadership, military customs and courtesies, aerospace, and emergency services. We also highly encourage a healthy, active lifestyle. The Civil Air Patrol is the civilian auxiliary of the United States Air Force. 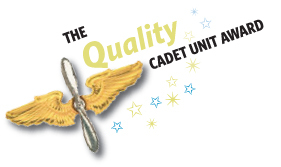 We are a volunteer, non-profit organization made up of aviation-minded adult and youth cadet members committed to serving our nation and communities.